A beautiful and functional plate collection from Denby's Always Entertaining 'The Blue Edit' range. 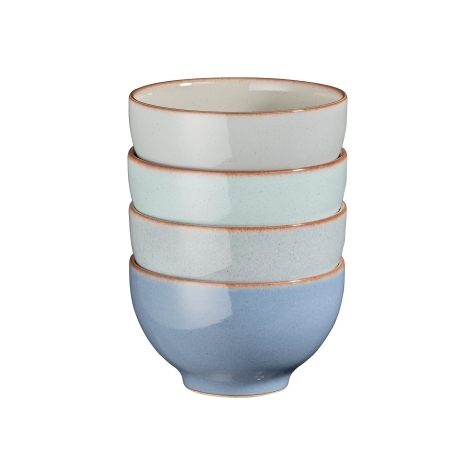 Featuring 4 colours from our Heritage collection, Fountain, Terrace, Flagstone and Pavilion these bowls are tough enough for everyday use but also stunning enough for best. Hand-crafted in the Denby Pottery from high quality, locally-sourced clay. Expertly glazed to prevent chipping and enhance durability. Part of the Denby 10 Year Guarantee and Collectors promise.